Please join us at Carlisle Sawgrass Mills Fashion Outlet Location. 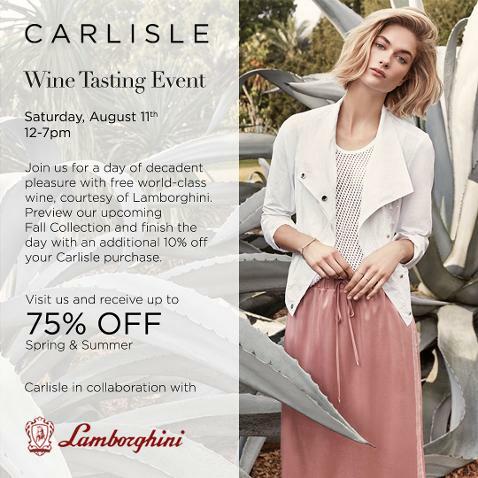 Complimentary Lamborghini Champagne Tasting and up to 75% off on spring and summer apparel. The standard Luxury Chamber dress code is not enforced on Saturday events. Mention Luxury Chamber to receive an additional 10% off your purchase!